I grew up on the NSW South Coast and has been involved in competitive swimming since the age of 5. I was a member of Nowra Swim Club until the age of 18, before moving to Newcastle for University. In Newcastle, I continued my swimming career at the Hunter Swim Club, regularly competing at Country, State and National Championships. Whilst at Hunter, I also began swimming teaching and coaching at Arnold’s Swim Centre, one of Australia’s best learn to swim programs. It was here that I learned the importance of teaching all swimmers with a technique-first philosophy, an approach that remains with me today. In 2005, I accepted a swimming scholarship to the University of North Carolina Wilmington where I completed my swimming career and university studies. I graduated with a degree in exercise science and resumed my coaching career immediately upon graduation. During my time at UNCW, I was fortunate to be a part of an incredible championship winning team, and it was here that I realized swimming is one of the greatest team sports in the world. In May 2008, I accepted a coaching position at Villanova University, an NCAA Division 1 program in Philadelphia, PA. Whilst at Villanova I had the opportunity to coach at some of the fastest meets in the world including the World University Games in China, US Olympic Trials, US Nationals, Australian Nationals, South African Nationals, and German Nationals, and the NCAA Championships. Along my journeys I was fortunate enough to meet and share ideas with some of the world’s best swimmers and coaches, many of which have had a major positive influence on my coaching career. I was also Head Coach of the Wildcat Masters swim team at Villanova, and also the lead coach for the Villanova University Junior and Age Group swim camps, which allowed me to continue to work with swimmers of all ages, abilities, and goals. In June 2012, I moved to Perth, WA, and assumed the role of Head Coach at West Coast Swim Club. In Perth, I was able to be a part of a great coaching team that helped West Coast finish 4th at the 2014 Australian Age Championships. In my two years at West Coast I was able to instill my philosophy that swimming is a team sport, as we traveled and competed together as a team as often as possible, and won national gold medals individually, and in relays. Although I thoroughly enjoyed my time in Perth, my passion for the US College system remained, and I accepted a coaching position at the University of Notre Dame where I had the opportunity to work with some of the finest Student-Athletes in the nation. During my 18 months at Notre Dame, I was able to help swimmers achieve qualifying standards for the 2016 Rio Olympic Games, US Olympic Trials, US Nationals, and the NCAA Championships. My time at the University of Notre Dame was a great reminder for me about the discipline, dedication, and determination that is required for a swimmer to achieve success at the highest level. Although it was a difficult decision to leave the University of Notre Dame, I am incredibly excited about the opportunity to work with swimmers of all levels and abilities here on the Northern Beaches. I truly believe that Big Blue Swimming and the Warringah Aquatic Centre can provide swimmers of all levels and abilities in the community the opportunity and resources to reach their full potential as swimmers and as people. As a coach, I am very fortunate to be able to combine my knowledge and understanding of the fundamentals of human movement and long term athlete development, with my passion for swimming and human potential and development. 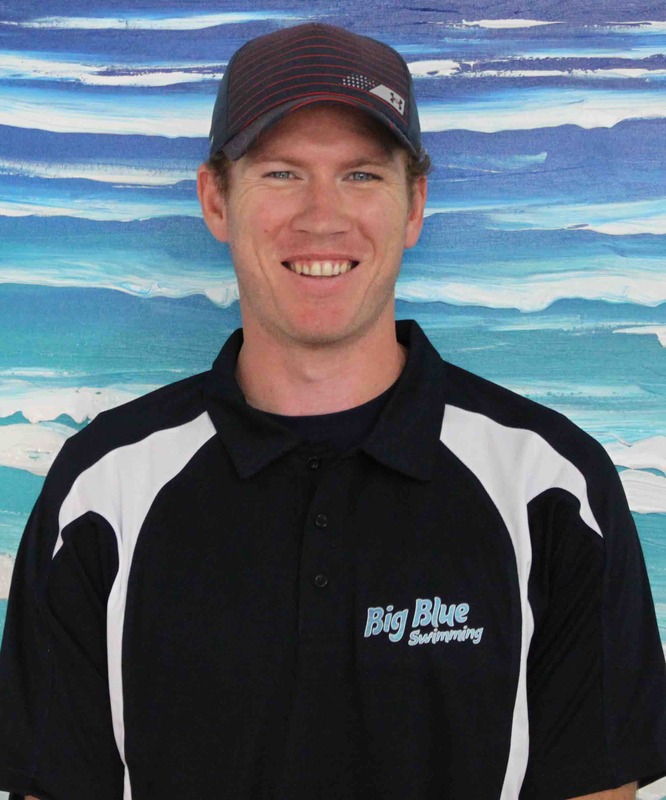 Participation, performance, and passion are the cornerstones of everything I do, and I look forward to being part of a great team at Big Blue Swimming, the WAC, and the Northern Beaches community.